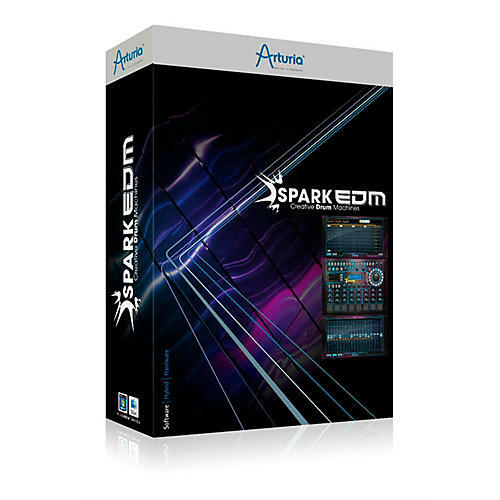 Spark EDM is a comprehensive production tool for creating the pulse-pounding sounds of Drum & Bass, Dubstep, Techno, House, and more. The third Arturia software instrument based on the Spark Engine, Spark EDM incorporates 14 high-quality effects, 16 independent audio outputs, 480 cutting-edge instruments, and 30 kits, with 3 powerful sound engines. The EDM-style GUI is easily adaptable to any controller thanks to the MIDI Control Center, so you can really get hands-on with the software. The incredibly intuitive workflow of Spark EMD uses drag and drop, shortcuts, and instant tweaking for fast and easy inspiration. Packed with 1920 dance-style patterns, SPARK EDM has the tools for today's electronic music. This is a stand-alone product. Spark EDM IS NOT an expansion pack for Spark. As with all major operating system updates, it is vital to check the compatibility of your hardware and software before upgrading your system. For new computer owners, it' highly advised to check with manufacturers on when they expect their products to be fully compatible with the latest operating system.